Home > News > This is not a drill, there's a new Atelier Arland game on the way! This is not a drill, there's a new Atelier Arland game on the way! Good work, Gust. Give the people what they want! The Atelier Arland trilogy - Rorona, Totori, Meruru - is surely up there with the most popular games that this long-running series has thrown up over the years. Thanks to the impeccable sense of the adorable by the trilogy's artist, Mel Kishida, these bright, colourful, and downright happy games have remained with fans right from when Rorona first emerged, way back in the earlier days of the PlayStation 3. And now Gust is back with Arland. Not just with a remake or re-release of one of the original trilogy, oh no (though that series is getting a re-release in December for modern consoles). 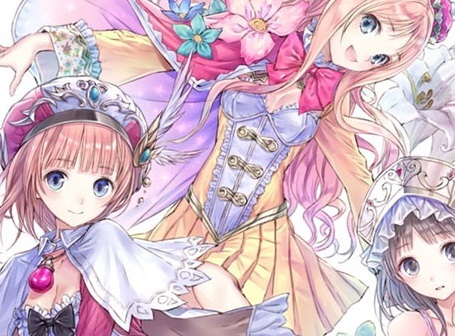 Instead, Gust is creating an all-new Atelier Arland title. It will be called Atelier Rurua (or possibly Lulua, Gematsu, which brought us the news, uses both titles and clearly got a typo in there). The protagonist is Elmeluria Frixell - that's Rorona's daughter, for those who recognise the surname. According to Gust, we can expect the base game to be similar to the Arland trilogy, while also borrowing from some of the improvements and refinements that subsequent Atelier trilogies (Dusk and Mysterious) brought us. Most important of all, though - this new Artelier will use the same artist as the original Arland series. We do love Mel's work. No news on a western release at this early stage. We all know it's coming, though.